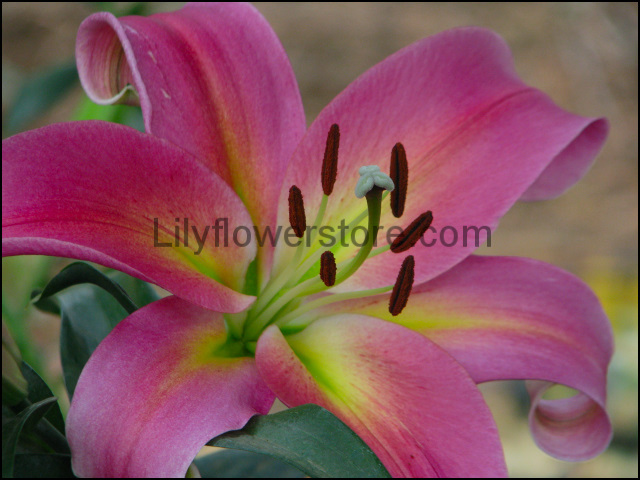 Empoli giant Orienpet Lily bulbs have red-pink to dark pink, large 8 in. flowers with golden-yellow, star-shaped centers. Heavy stakes will be needed to support Empoli Orientpet Lily Bulbs. 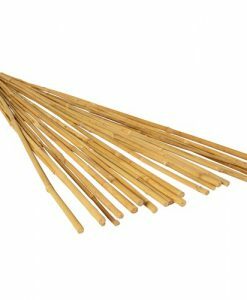 With up to 10 flowers per sturdy stem on an established plant. Empoli Giant Lily bulb fragrant flowers are perfect for the back of the border. Or cut flower arrangements and bouquets. Orienpet lily bulbs are crossed between Oriental and Trumpet lilies. Therefore, making them extremely fragrant. As well as bringing desirable traits from both. Consequently, providing increased vigor. And disease resistance to an outstanding flower. Empoli giant Orienpet lily bulbs produce huge blooms (from 4 inches to 8 inches across). As well as large-sturdy stems supporting its’ massive blooms. Not to mention, they can grow to heights of over 6 feet of their third year on. Therefore, staking is recommended. Consequently, they will not fall over. Likewise, Orienpets will adapt to most soils very well. However, best grow in morning sun then afternoon shade. Oriental lilies may take a little extra care. But are worth the effort! Good drainage is crucial with Emopli Giant Orienpet lily bulbs. Choose a location with well-drained soil. Spots having heavy clay or one that remains damp are death for lilies. Clay soils can be amended by adding potting mix. But, if the surrounding soil is clay, planting spots act as a sump for excess water. Consequently, Empoli Giant Orienpet lily bulbs will struggle to survive. Spots with a bit of slope allows excess rain to drain away. Likewise, another option is to provide raised beds. Therefore, allowing for a soil mix that is free draining. As well as rich in well seasoned organic matter. Also, potting mix needs 40% pumus or peralite. Plant Empoli Giant Orienpet lily bulbs 2 ½ times the height of its’ bulb. 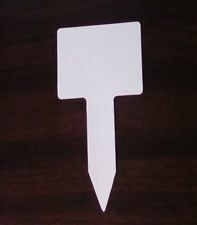 Similarly, 3-inch lily bulb = 7 inches deep. Leaving bulbs in the ground grows taller flowers each year. Also, will grow 3 ft. to 4 ft. the first year. And 5 ft. to 6 ft. the second year. Similarly, obtaining an ultimate height of no less than 6 ft. after 3-years! Consequently, allow foliage to die back naturally. So, the bulb can build up energy for next year. 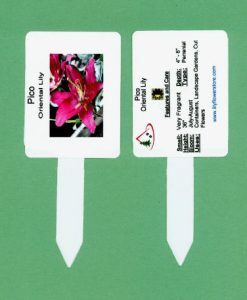 Properly sited, Orienpet lily bulbs will produce bulb-lets. Also, increasing in size over time. Lightly mulch lily plantings before the ground freezes.